For those who love getting lost in a department store world full of pillows, expansive beds, and comforting soft-colored drapes, the following news may break off a sliver of your consumerist heart: Bed Bath & Beyond may get rid of coupons forever, condemning you to a discount-free hell. 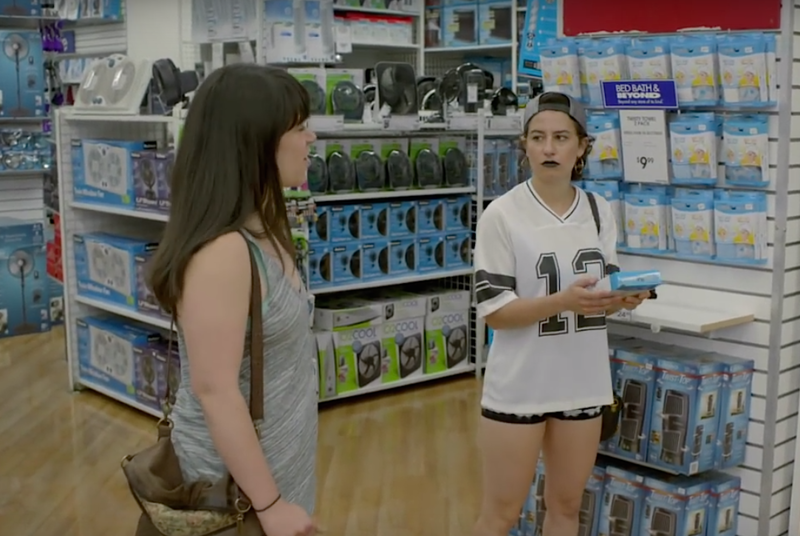 Somebody make sure Broad City’s Abbi is okay. The store recently realized that while popular, their classic coupons that gave customers 20% off were backfiring profit-wise. This led them to do testing on a beta version of a new rewards program called the “Beyond +” loyalty program. The program in testing include the perks of free shipping for online purchases and 20% off purchases, but the catch is, there’s a $29.99 membership fee. One of the main questions they’re grappling with is whether or not the membership fee will stop people from joining. Depending on whether or not Bed Bath & Beyond is successful with their trial round of Beyond +, they may discontinue their coupons altogether. We’re going to need dog cuddles to cheer us up from this possible loss. "The coupon is clearly and has been strongly associated with us. But really, we need to be working and we are working on becoming a lot more intelligent about our marketing and making it much more personalized." Hopefully, their move towards personalized marketing will continue to include good deals on delicious smelling candles and luxe pillows. Otherwise, they’ve made their bed and need to lie in it.